This week Abbie and Ichabod were on a quest reminiscent of the best vintage Sleepy Hollow installments. There was a treasure map, a powerful weapon, and a memorable scary creature threatening our heroes. Join TV Fanatics Jim Garner, Stacy Glanzman, Whitney Evans and Henry A. Otero as we discuss Methuselah's sword, the Ichabod/Abraham flashbacks and plenty more in this week's Sleepy Hollow Season 2 Episode 10 Round Table. Did you enjoy that this week's episode felt like vintage Sleepy Hollow? Abbie and Ichabod on a quest. Jim: While I kind of missed Hawley in this episode, I did realize he doesn't need to be in every episode. I did like how Ichabod used his weather app to know when the sun was going to rise. Stacy: I did! No Hawley this week, Jenny had her own subplot, and limited Katrina. I love the supporting cast (except Katrina) but it was great seeing Abbie and Ichabod working together against Headless again. Whitney: Last night felt like vintage season 1, with a whole episode primarily dominated by Ichabbie trying to outwit the bad guy and continue on their journey. I have to agree with Jim though, I kind of missed Hawley. He isn't needed in every episode and he would have felt tacked on here but he's really grown on me this season. Hank: Personally I didn't miss Hawley at all. Not that I don't like the character, but if he were killed off it wouldn't bother me much. The last few episodes have definitely felt like the Sleepy Hollow I fell in love with last season. I think the mistake was stretching out the season to 18 episodes. Share your thoughts on Methuselah's sword and its guardian; the Gorgon. How about the VFX? Jim: I was kind of disappointed as none of it felt very original. It was as if the episode was almost entirely taken from Clash of the Titans, Indiana Jones and The Last Crusade, and a splash of King Arthur thrown in. My wife and I both made "she chose poorly" jokes after all the swords turned to snakes. Stacy: The sword was cool. When they all turned to snakes I thought Abbie picked the wrong one. I loved that it took both of them to light the oil, but I wanted them to both reach in together to grab it. The plan to use Headless to defeat the Gorgon was pretty brilliant. I thought the VFX were pretty good. Sleepy Hollow has no trouble making their demons creepy looking. Whitney: The Gorgon was okay, but seeing as how I just watched the first Percy Jackson movie and Clash of the Titans within the past week, I was on Medusa overload so I wasn't that impressed. Hank: I totally got the same vibe Jim and thought "she chose poorly" as well. That said, I think this show has always been a mix of Indiana Jones, National Treasure, DaVinci Code and Clash Of The Titans. Though I can't recall much Greek mythology being used until this Man-dusa's appearance. I thought the visual effects were great and the Gorgon fighting Headless was priceless! What did you think of the Ichabod/Abraham flashbacks? Talk about how their fates are entwined. Jim: This was pretty awesome. I really like Abraham (with head) over the silent and somber "headless horseman". Ichabod and Abraham's discussion about who they've become was so well done! Stacy: I enjoyed the flashbacks. It was interesting seeing them as friends. I liked the scene at the party where Abraham introduced Ichabod and Katrina thinking they'd get along well but not considering just how well. Whitney: The flashbacks did a lot to humanize Abraham. And dare I say, I actually felt bad for him. I thought it was clear that he cared for Ichabod a lot and he actually seemed like an okay dude. Hank: I've said it before the enchantment allowing our characters to see Abraham's head has done wonders for the character. I think we've always been told how close he and Ichabod were, but this week we had a chance to see it for ourselves. It's wild what an influence Abraham was on Ichabod, fate was never on their side. I loved the line "I was supposed to be the hero of this story. Not the villain." So our heroes now possess Methuselah's sword. Will they manage to kill Moloch with it next week? Jim: I suspect "banish" more than kill. Though knowing how this show works, I fully expect there to be a bigger cliff-hanger to torment us until the show comes back in 2015. Stacy: From the little bit I've read about next week's episode it sounds like there are some pretty serious consequences to using the sword. What will they have to give up in order to defeat Moloch with it? Nothing comes easy on this show. Whitney: I can't imagine it will be that easy. I'm sure there will be a huge complication that will arise because we're halfway through the second season and the big bad can't be outdone just yet. Right? Hank: I agree with everyone, Moloch can't be killed off half way through the season. Perhaps the sword simply sends him back to purgatory and back to square one. Imagine how pissed the demon will be, he came so close. Share your overall impressions of the first half of the season heading into the Midseason finale. Jim: Overall the show has done very well overall in the first half of its sophomore year. I like that Jenny is being used more and the addition of Hawley. However, it has let me down when it comes to Katrina and Irving. Both feel like they are tacked-on and nobody really knows what to do with them. Stacy: I love this show! The first half has been funny and action-packed. Sure I could do without the love triangle stuff, but it doesn't bother me enough to deter my enjoyment of the show. I was a little concerned about season 2 getting more episodes and while there has been a bit more filler, I'm invested in every episode. I'm looking forward to seeing what happens next week! Whitney: I am still completely invested in this show, but I'm not as in love with it as I was last year. I don't walk away from each episode dying to see the next one. But I've watched enough television to know that the second season of a lot of shows can struggle a bit. I think they will be able to get things back on track though, because this show has something so many shows wish they had: Tom Mison and Nicole Beharie. Hank: As I mentioned at the top, I think it was a mistake to stretch out the season to 18 episodes. Last season the storytelling was tight and there were no filler episodes. There was no time, the writers had to tell their story in 13 hours. Season 2 gave them too much time to dilly-dally and lose focus. The last couple of episodes leading up to the Midseason Finale have been great, seems like we're back on track. 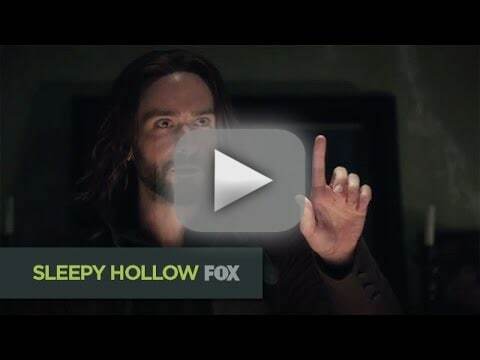 Don't miss next week's Fall Finale Sleepy Hollow Season 2 Episode 11 on Monday, December 1 at 9/8c.